With school starting again and schedules filling up, now is a good time to start filling up your freezer too. Here are some vegetarian freezer cooking dinners to keep on hand for busy weeknights. 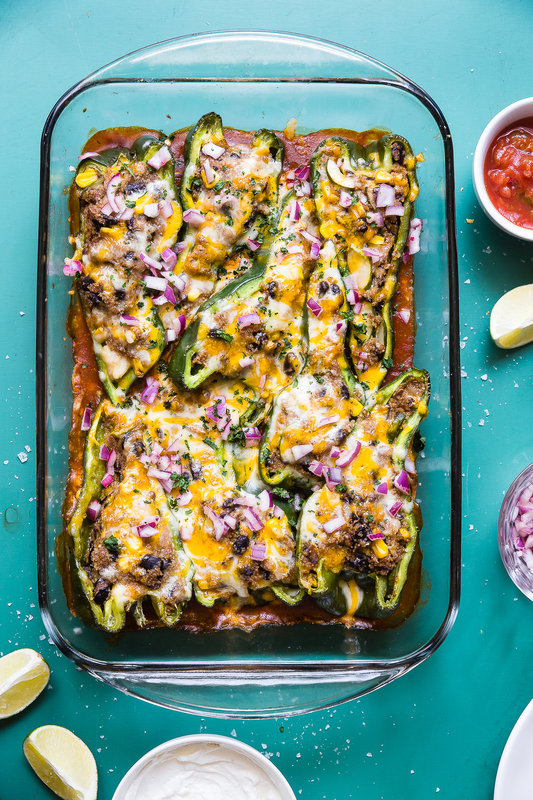 Loaded with summer vegetables, black beans and, of course, cheese, these baked poblano peppers are one of our favorite meatless freezer dinners. 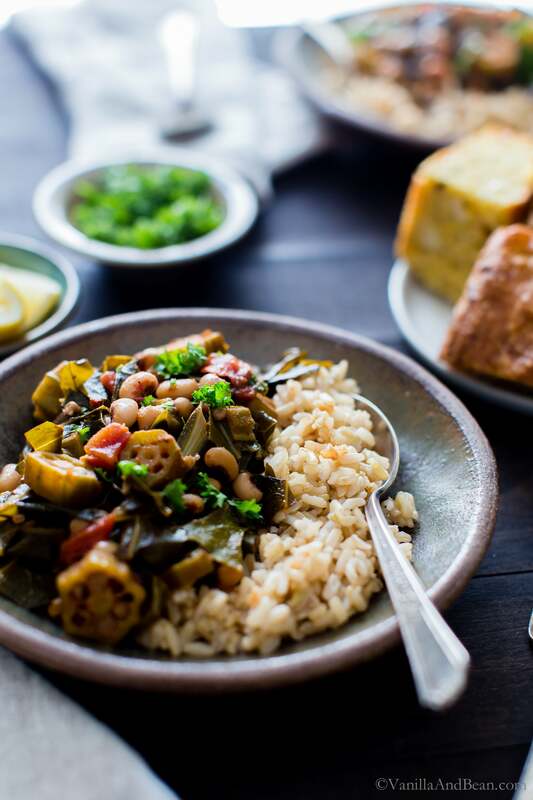 Southern cooking meets North Africa in this spicy vegan stew. Keep a batch in the freezer and serve it over rice for a filling meal. 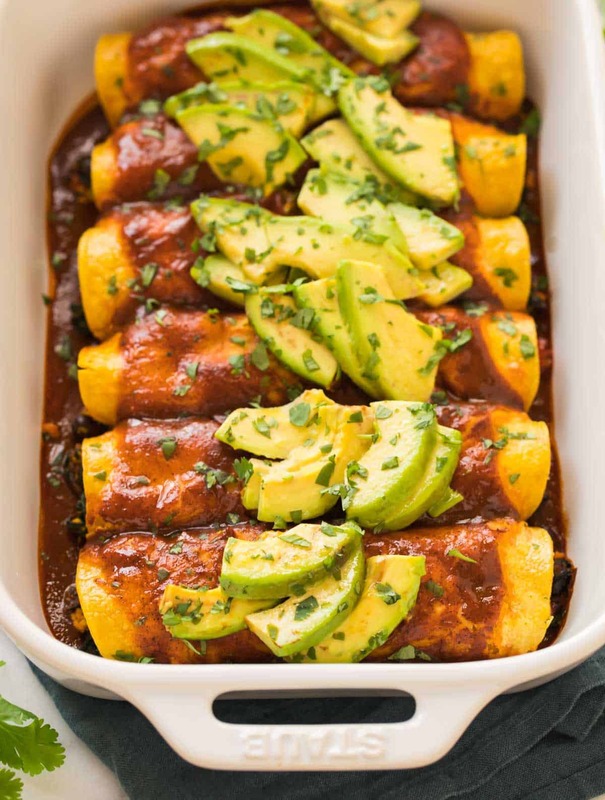 Tofu, spinach and black beans make a filling so flavorful, you won’t miss the cheese! Skip the avocado topping for the freezer and add it when you’re ready to eat. 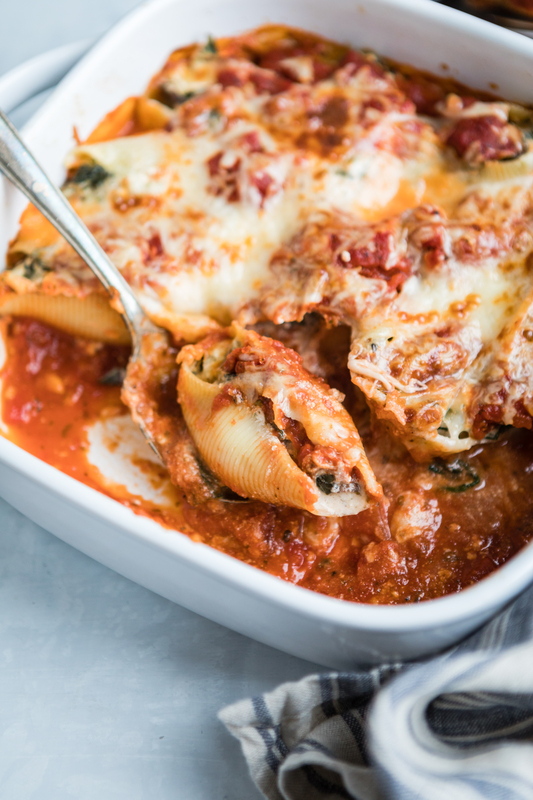 Just like lasagna, stuffed shells freeze beautifully. This version combines the ricotta with greens and mushrooms for even more nutrition. 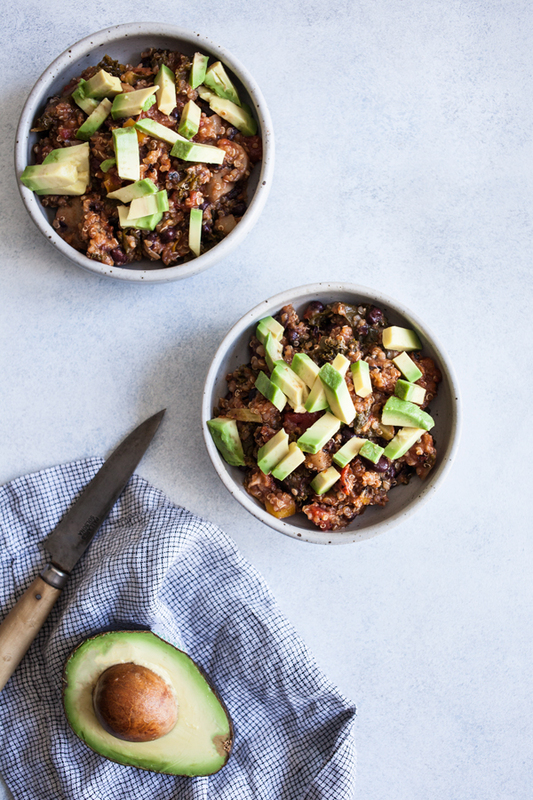 Chili almost always freezes well, so use your own favorite recipe or try this smoky chipotle chili from The Full Helping. Like chili, soups have a reputation for freezing well, but in my experience some varieties freeze better than others. 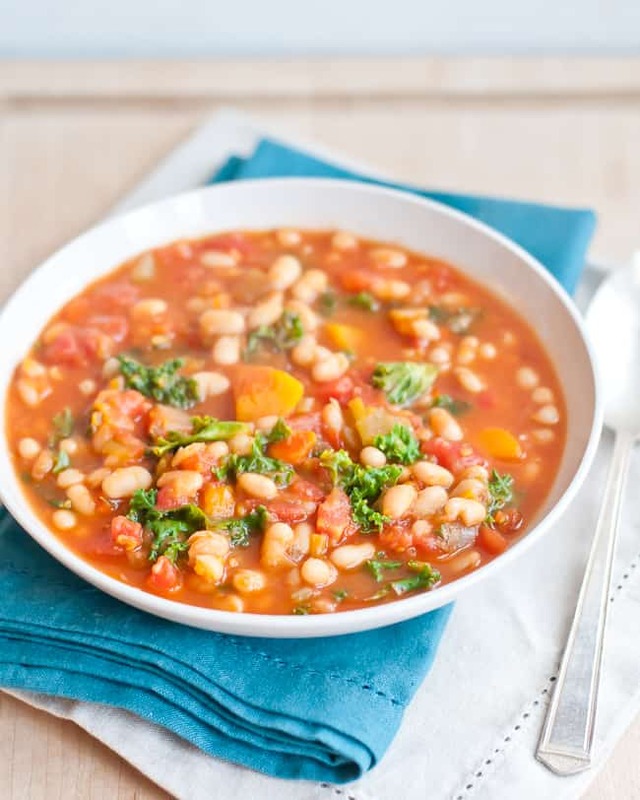 You can’t go wrong with this bean-and-veggie soup though! 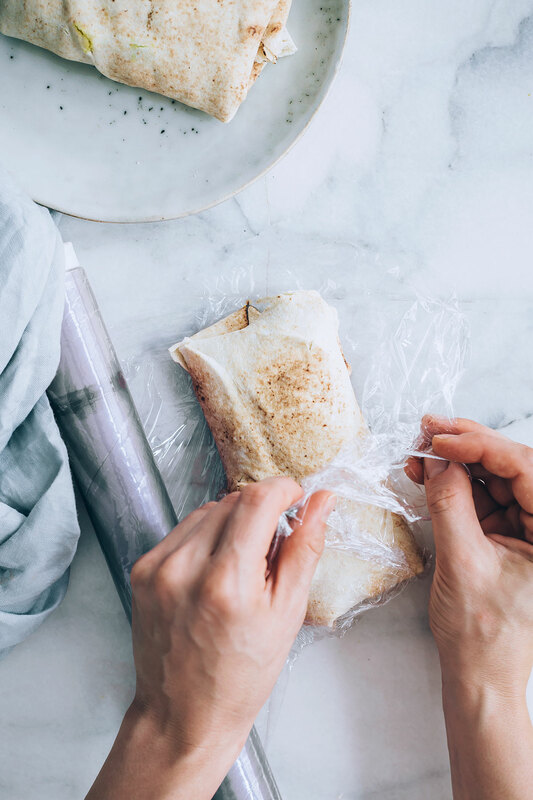 These tofu scramble wraps are perfect for those nights when the whole family can’t sit down together for dinner.